Their missions are just starting and these guys and gals are already tearing themselves apart. These villains turned government agents are out to do the jobs even too dirty for the CIA. 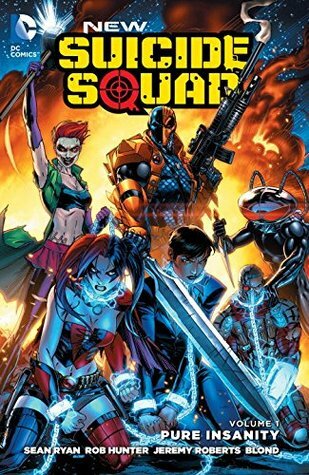 The team now seeing some additions in the form of Deathstroke and Joker's Daughter, as well as a new puppet master, Vic Sage, who by the way is no Amanda Waller things will get seriously crazy. We see some serious fight scenes and because these guys are villains some serious killing left and right. Of all by far Harley Quinn steals the show; I'd give more credit to Black Manta but come on he breaks up a pretty good fight between Joker's Daughter and Harley.